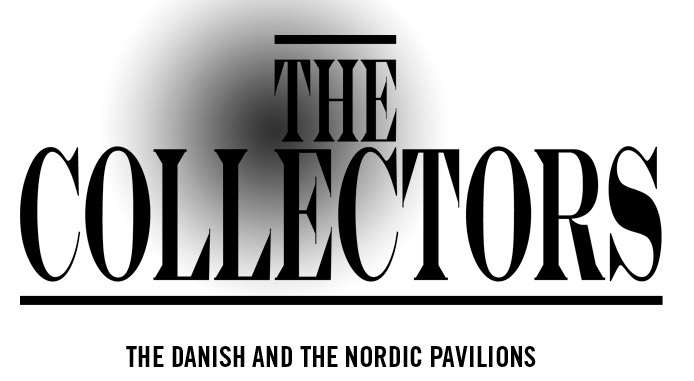 'The Collectors' - Danish and Nordic Pavilions - 53rd Venice Biennale. Curators Michael Elmgreen and Ingar Dragset. Artists and Designers included in the exhibition are Thora Dolven Balke, Massimo Bartolini, Hernan Bas, Guillaume Bijl, Maurizio Cattelan, Elmgreen & Dragset, Pepe Espaliú, Tom of Finland, Simon Fujiwara, Han & Him, Laura Horelli, Martin Jacobson, William E. Jones, Terence Koh, Jani Leinonen, Klara Lidén, Jonathan Monk, Nico Muhly, Norway Says, Henrik Olesen, Nina Saunders, Vibeke Slyngstad, Sturtevant and Wolfgang Tillmans. Other features Fredrik Sjöberg's Fly Collection, Massimo De Carlo's Porcelain Collection, Collected Etnographica, Real Estate Agents performed by Helen Statman & Trevor Stuart.